Pain. Everyone experiences it at some point or the other in their life. For some its a case of occasional pain while for others its chronic with them having to live/have lived with it for years. Since being diagnosed with Rheumatoid arthritis some years back, I have experienced fatigue, joint stiffness and pain on an intermittent basis with the pain varying in its degree of intensity. And over the years, I have now learnt to manage the pain. I take prescription pain relief tablets on occasions of severe pain but prefer to manage mild pain with physical therapy (pain-relief exercises) and non-pill formulations like creams, gels or ointments. 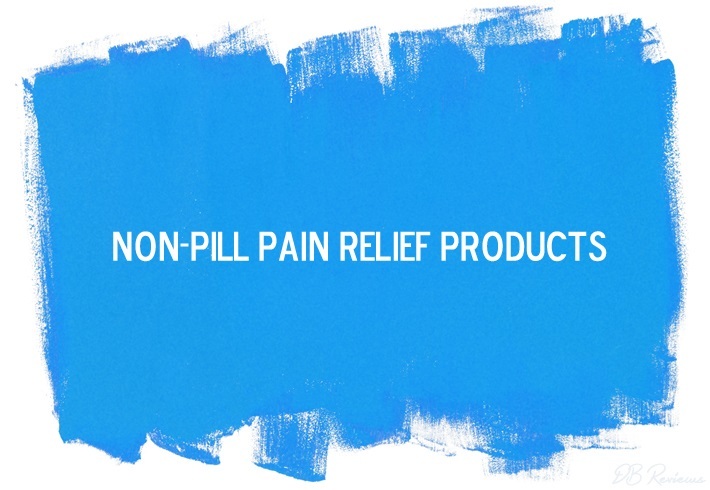 In today's post, I share with you 5 non-pill pain relief products that can help with pain management. This is a herbal remedy from A.Vogel used for pain relief in stiff muscles and joints. Made with extracts of freshly harvested Arnica flowers, the gel has a non-greasy texture and is easy to apply. it can be used to relieve pain in conditions such as muscle aches or pains, stiffness or after sporting injuries. the cream has been shown in published research to deliver effective pain relief to stiff, painful or arthritic joints within just 30 minutes, making it 15% faster than conventional painkillers. Deep Heat is the UK's No.1 selling heat brand. Their rubs, spray and patches are suggested for muscular aches, pains and stiffness with the products providing targeted pain relief plus penetrating heat therapy. Featured in this post is the Deep Heat Muscle Massage Roll-on Lotion. The roll-on lotion has been specifically designed to provide targeted, warming relief to help ease tight and/or knotted muscles. It is non-medicinal, has a herbal fragrance and offers a convenient mode of application. My mum recommends this, especially for relief from back pain. Just like Deep Heat above, Deep Freeze is the UK’s No.1 selling 'freeze' brand. Their products provide the benefits of pain relief combined with cold therapy and can be used for sprains, strains, muscle & joint pain. The Freeze Pain Relief Glide-on Gel, featured in this post, is a cooling formula that sinks into the skin and gives fast acting pain relief for sharp, shooting muscular pain. - Levomenthol : to provide cooling, soothing relief. Disclaimer: Please contact your GP, pharmacist or healthcare practitioner if you have any allergies and need clarification on whether or not you could use the above mentioned products. This article is written based on my experience with the products. And while I did not experience any side effects, everybody is not the same and some may experience minor side effects. If buying products OTC, do not forget to read the enclosed leaflet carefully before use for all the instructions and warnings. *Contains PR samples. All views, as always, are my own.